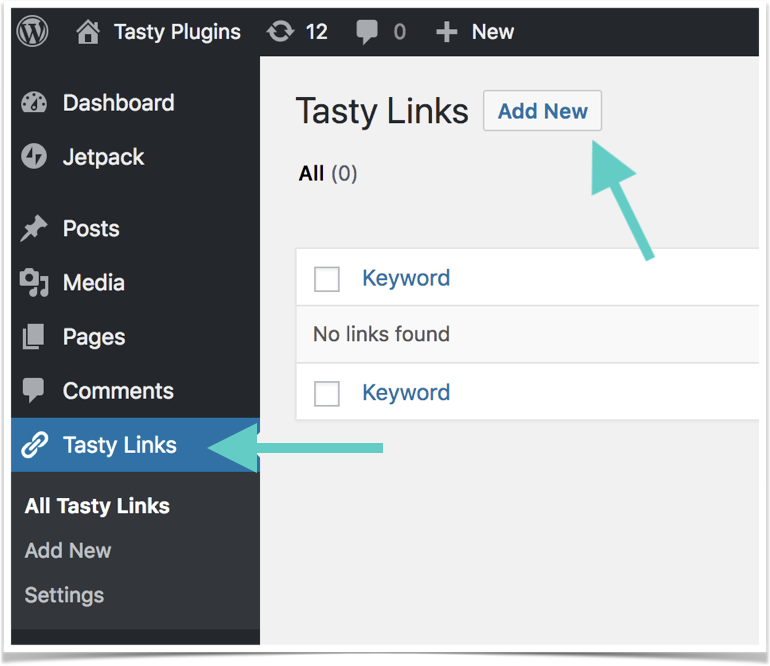 In the left-hand navigation of your WordPress dashboard, select Tasty Links, then click Add New. 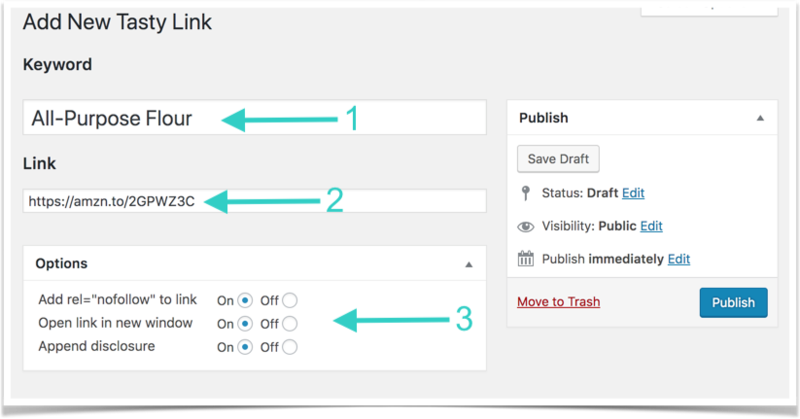 In the "Keyword" field, enter the keyword that you want to be automagically linked when someone views your blog. The keywords must match the spelling and punctuation exactly, but they are not case-sensitive. For example, the keyword "All-Purpose Flour" would match the terms "all-purpose flour and "All-purpose flour" but would not match the term "all purpose flour." Next, in the link field, enter where you want the link to point to. This could be an Amazon affiliate link, a related page on your blog, or a resource that you refer to often. In the Options box, select whether or not you want the link to be set to nofollow, if you want it to open in a new window, and if you want the disclosure appended. When you're done, click "Publish" and the links will start showing up across your blog. Pretty nifty!